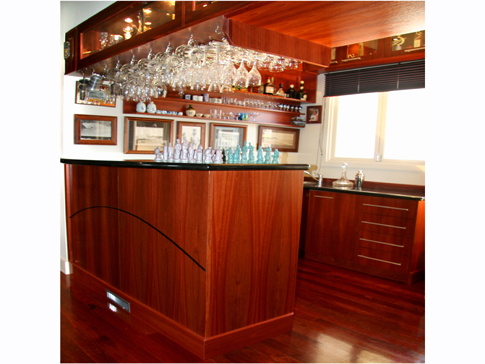 This Jarrah bar is an entertainers delight. It has lots of cupboards, glass drawers, sink and fridges. It has been complimented by black granite benchtops and also includes an inlay chess board. The Jarrah has been finished in 2 pack satin lacquer.